Balancing Act takes a unique approach to investment portfolio rebalancing. Dr. Froisy adapted techniques used for industrial process control to solve the rebalancing problem. The messy details are hidden allowing an individual investor to achieve expert results with this rebalance app. Brian Froisy founded StateSpaceTech. His career dates back to the days of punch cards with computers the size of a refrigerator (and pea-sized brains). He founded the company to focus on software and technology development. This has mainly been in the domain of financial technology. The intersection of chemical engineering, computers and automatic process control was the focal point of Brian's career. He designed, implemented and applied advanced process control systems throughout the world. This transitioned into product and technology development in the specialized domain of multivariable predictive control, MPC. StateSpaceTech was born after a five year gestation period, during which BalancingAct grew from an idea into a ready-for-release product. Portfolio rebalancing solutions existed only in the form of expensive software licensed to investment advisory firms. Of course their customers (you) ultimately paid the bill. Adoption of rebalancing software was fairly low. Many investment advisory firms used home grown spreadsheets with bare bones functionality, because of both cost and aversion to the then-new software. Brian recognized that portfolio rebalancing was an interesting problem. Upon further study it became clear that it had many parallels in the domain of process control. The common element is that there are targets (where you want to be) and there is a state (where you are). The control problem is to calculate how to move from where you are to where you want to be in the most cost-effective way. In traditional process control, the calculation determines the adjustment to a control valve, motor or other physical element that will restore the process to its target. In rebalancing, the calculation must determine the trades (buy, sell, hold) that restore the portfolio to its targets. The secret sauce for "rebalancing control" is to treat it as an optimization problem, similar to the approach for multivariable predictive control (MPC). Micro computers appeared in 1975. Brian bought a KIM-1 the next year, the start of a de-facto course of studies in computer science. The first decade of Byte magazine provided plenty of instructional material. The Xerox Star was introduced in 1981. It was demonstrated at the 1982 National Computer Conference in Houston. Brian attended the demo which left an indelible imprint -- this was going to be big. The Apple Mac appeared two years later. Brian has been a Mac user and occasional programmer from those early days. The mindset "computers for the rest of us" proved to be a guiding light for much of his future professional and personal pursuits. Industrial applications of MPC appeared in about 1980. The technology evolved over the next 30 years and today it is used throughout the process industries (refineries, chemical plants and other manufacturing facilities). The technology had two unrelated parents. 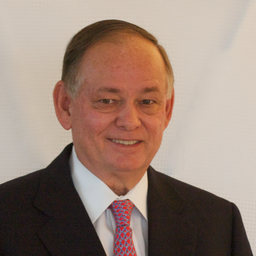 Jacques Richalet of Adersa was the developer of IDCOM, a technology that was embraced by Setpoint, Inc. Charlie Cutler who founded DMC corporation was the force behind DMC. Aspen Technology acquired Setpoint and DMC in 1996. The technologies merged and evolved under the banner of AspenOne® Advanced Process Control. Brian was actively involved MPC application, technology and product development from 1984 until 2008.